Life is too short to drink bad coffee or wine or eat Mc Donalds... Big Ben? Been there. The Eiffel Tower? Seen it. More and more people want to just enjoy their city trip, rather than visiting every touristic place of interest. The traveller's bucket list nowadays consists of culinary treats. So first things first: let's get some good food. 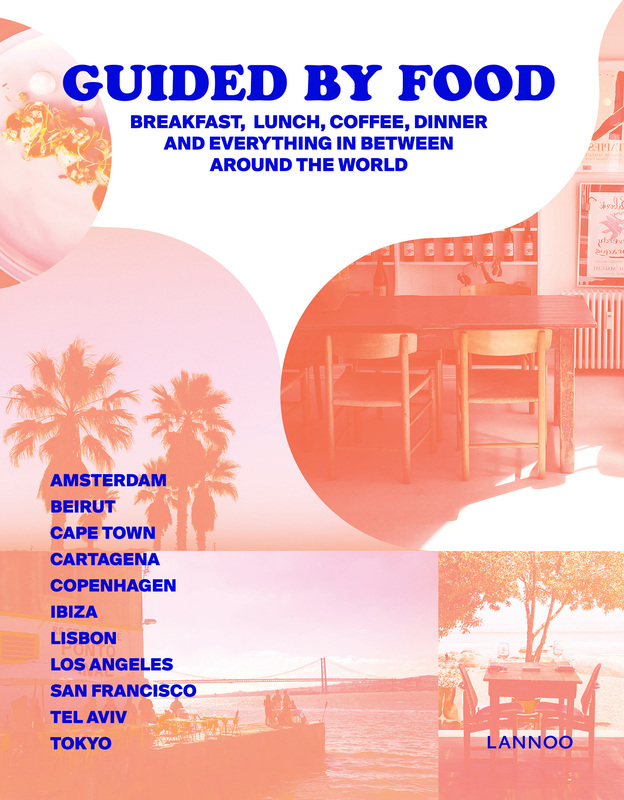 Guided by Food acknowledges this new trend and offers readers a handful of carefully curated tips, instead of a long list of useless information. Simply the best, most fun and most funky places in the latest foodie scene. A unique combination of culinary hotspots and travel tips to cities such as San Francisco, Oaxaca, Tulum, Beirut, Tel Aviv, Copenhagen, Portland, Los Angeles, Ibiza, Lima, Carthagena, Tokyo, Lisbon, Cape Town,... Hundreds of locations and mouth-watering tips: restaurants, bars, coffee bars and hotels. Curated, preselected: all you need to do is to book your plane ticket.